Much has been said and written about “Crazy Rich Asians”, the movie based on Kevin Kwan’s novel, which has taken the world by storm. I wasn’t planning to jump on the bandwagon but having recently been in Germany and seen the movie’s success there, I feel inspired to write. I mean, I expected it to be a hit in Singapore and Southeast Asia, but the fact that Germany and other European countries would also fall under the spell of CRA surprised me just a little bit. 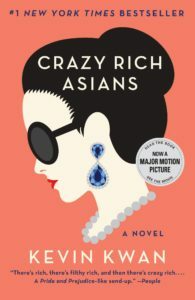 “Crazy Rich Asians” is the first of three novels and I read all three books 2 or 3 years ago and absolutely loved them. From then on, it has been a perfect gift for my friends who used to live in Singapore. So when I heard that it was going to be made into a movie, I was very excited. The storyline seems quite simple – a romantic love comedy intertwined with intrigues and scandals, mainly set in Singapore and its surroundings. 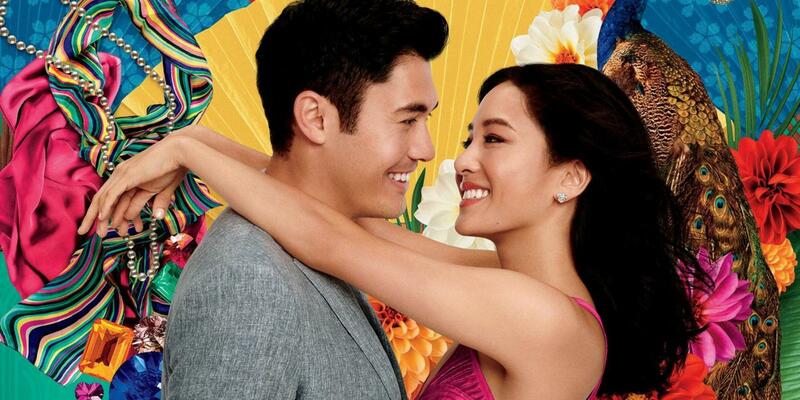 Extremely handsome Henry Golding plays Nick Young, the main character, who brings his long-time girlfriend Rachel Chu to Singapore for his best friend’s wedding and to meet his family. Little does Rachel know that Nick’s family is ultra-rich and that she is going to attend the most lavish wedding of the century! As expected, Nick’s mother does not approve of Rachel, and Rachel also has to stand up to the jealous socialite girls who are vying to win Nick’s heart, or at least his attention. Singapore is shown in all its beauty but what I think fascinates people even more is to get a glimpse into the world of the super-rich families that indeed exist. Singapore’s population has one of the highest percentage of millionaires in the world and yet, the ordinary citizen does not get to see these people very often. So naturally everybody wants to marvel at the characters of the movie, their million-dollar jewellery, opulent homes and out-of-this-world lifestyle (taking the hen party by private jet to a private island, throwing parties on large container ships, buying Hermes handbags by the dozen, to name a few). It very much reminded me of the 1980s TV series “Dallas” and “Dynasty” except that the gossip, glitz and glamour is set in Asia and of course the cast is all Asian! Do the “crazy rich Asians” practice Feng Shui? I honestly think so. No matter how rich people are – surely they will want to protect their good health, their family, and of course their wealth! The release date of the movie is certainly not a coincidence: 17 August 2018. August is the 8th month of the year and the date 1 + 7 adds up to the number 8 – which is the most auspicious number in Chinese numerology. In Chinese, the word “eight” sounds like “wealth” or “to get rich”. My oldest son graduating from school and “leaving the nest”, and “Crazy Rich Asians”!